When the Motor Car Act came into effect in 1903, every car owner in the UK was required to have a prominently displayed mark of identification on their vehicle. The first plate, “A1” was issued to the Earl Russell by the London County Council in 1903. It is perhaps the most valuable personalized number plate in the country and today belongs to Prince Jefri who displays it on his Bentley. 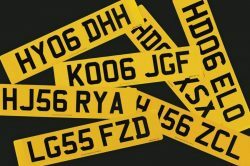 Number plates like these ones have now created a huge market as the demand for registration transfers among motorists continues to increase. 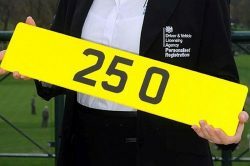 Number plates are first issued by the DVLA at £250 including VAT and £80 transfer fee. The most expensive number plate ever sold by the DVLA is 25 O at £518,000 in 2014. It didn’t take very long for the single letter and number combinations adopted in 1903 to run out. 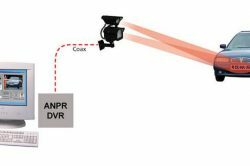 To have more combinations, the system needed to be more complicated than that. Most early plates had a single or double letter prefix followed by a number. The letters were allocated to different local authorities based on population size. For example, A went to London, B to Lancashire and so on. By 1932, the two letter codes were almost all gone and an extra letter was added to the front of the code. At this time, most number plates would have 6 characters made up of three letters and three numbers. By 1962, an extra letter followed the three numbers. All number plates using this new system also displayed the age of the number plate. “A” meant the car was registered in 1962, “B” in 1963 and so on. In 1983, they ran out of letters and reversed the system to a prefix system. The current number plate system we have today was first introduced in 2001. 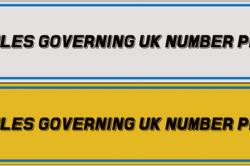 It has 7 characters; two letters that refer to the local DVLA office, two numbers that indicate when the vehicle was registered and three letters that are randomly issue although you may see cars from the same manufacturer with letters in a sequence. There are some exceptions to the numbers and letters that can be used. For example, letters “I”, “O” and “Z” are never used since they are too similar to some numbers. • The size, color and even the font used to create the number plates must comply with DoT rules. • They can have the EU/GB/England/Scotland/Wales emblems. In fact this is the only permitted decoration and can only be placed on the left of the plate. 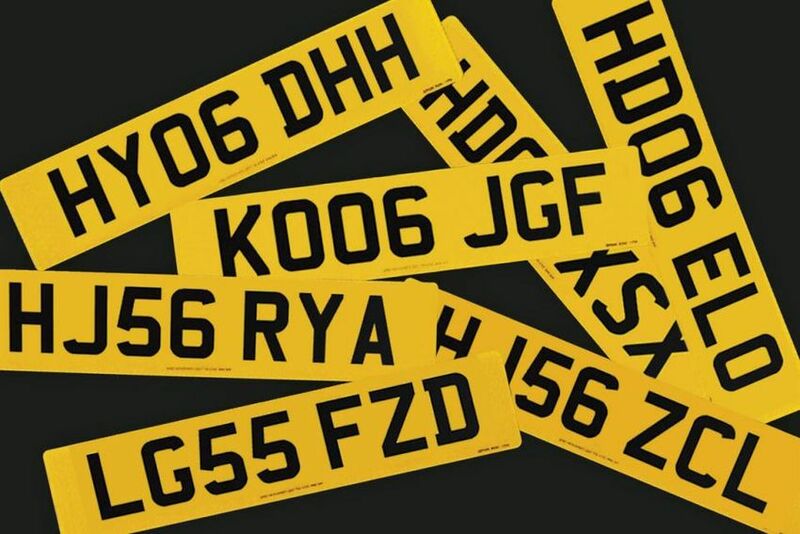 To prevent vehicle cloning, you must produce car ownership documents before you can buy number plates. 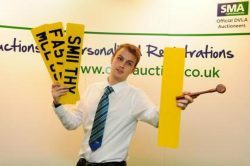 You can however use show plates to display on cars off the road.